"The Case for Investing in Contractor Qualification & Management"
Without proper screening of contractors, you could be hiring unqualified, uninsured, and unsafe workers. This may lead to an accident occurring at the work-site which could lead to a string of problems and uncertain legal and economic consequences. -Assessing the economic value of a contractor qualification and management solution. -Business conditions that make contractor qualification an imperative for many businesses, including the expected costs associated. 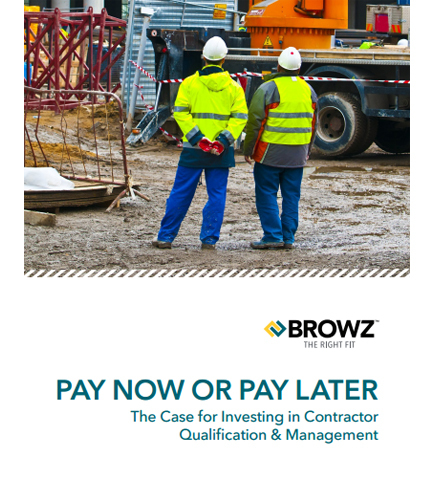 -Potential direct and indirect costs of “doing nothing”; that is, deciding against an investment in contractor qualification. -How to outsource contractor qualification to a vendor.